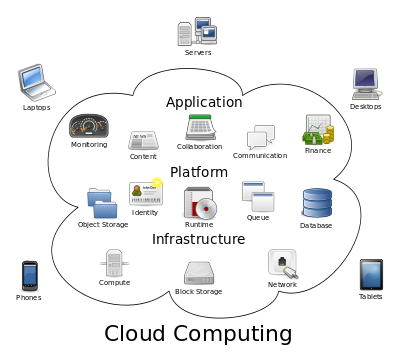 Cloud computing continues to grow in popularity, especially amongst Small and Medium Enterprises (SMEs). Provided your employees have internet access, the cloud allows them to work from anywhere. This flexibility can increase your workers’ productivity, for example, whilst they are on public transport. If your laptop were to be stolen, or if you simply misplaced it, all is not lost as everything stored in the cloud can be recovered. Data is the cloud can be accessed regardless of what machine you are using – provided you have the right security measures, of course. There are several ways to make sure your files are difficult to access and, therefore, fend off potential intruders. Cloud computing providers take care of your Disaster Recovery – meaning you no longer need a separate plan. Generally, Disaster Recovery on the cloud is quicker than your traditional recovery too. If you need more bandwidth than usual, a cloud-based solution can offer you this instantly. The vast amount of remote servers makes this possible. The ability to quickly meet a business’ demands is a popular reason for SMEs to move across to the cloud. Cloud computing suppliers do server maintenance (including security updates) so that time isn’t wasted managing on-site security. The cloud allows worker collaboration on documents without losing updated files. Instead of sending files back and forth over email and then merging all the updates into one, staff can work on the same file at the same time. If you’re looking for IT Support and Cloud Solutions in England, Essex-based LSA Systems can provide you with everything you need.